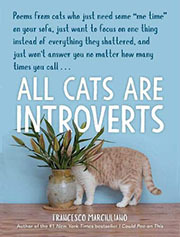 First the cats got a poetry book. 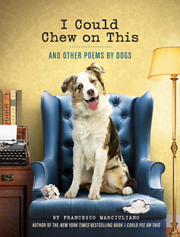 Then the dogs got a poetry book. Then the kittens had enough. And so they stormed my office en masse, demanding equal time and favorable royalty rates by swiping at my ankles, biting down on my toes, cleaning any surface area of its possessions, scaling not only screen doors but actual walls, hiding inside pillow cases so they can bat at my ears the moment I lied down for sleep, and generally showing their literary qualifications by threatening to adorably destroy everything I hold dear. And so we signed an agreement, I gave the kittens laptops and their own office, and thus they went to work jumping, running, pouncing, somehow jumping in mid-pounce, and shredding thousands upon thousands of dollars in office stationery and furniture until they found their muse and I found everything they had batted under the refrigerator. 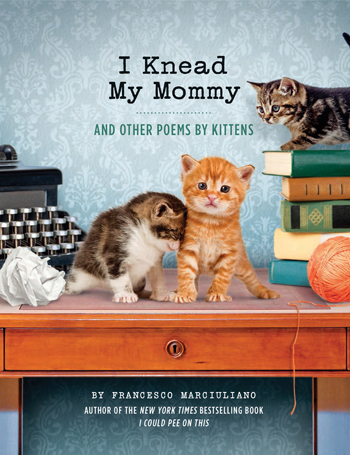 The result is their collected ode to themselves, I Knead My Mommy And Other Poems by Kittens. They poured their heart and soul into these poems. I poured bowl after bowl of kitty food only for them to choose to eat, dismantle, or fall asleep on my own lunch instead. 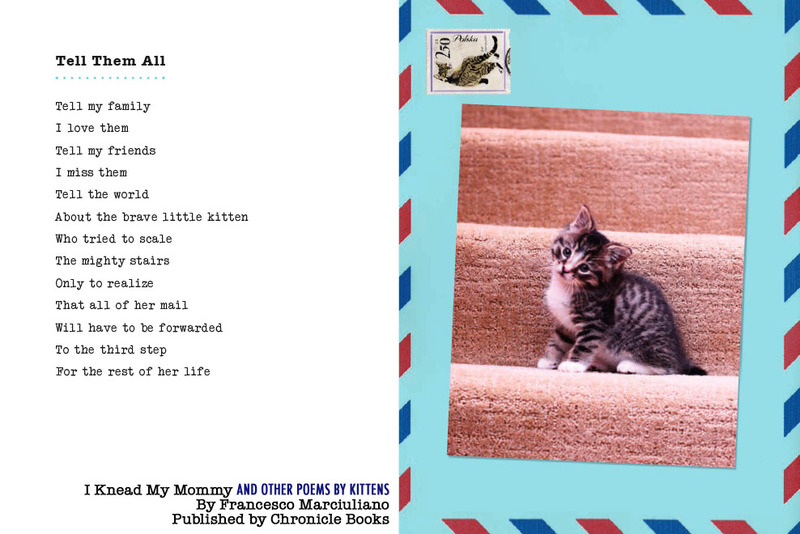 Together we hope you, your kitten, and perhaps even your world-weary cat enjoy this book. 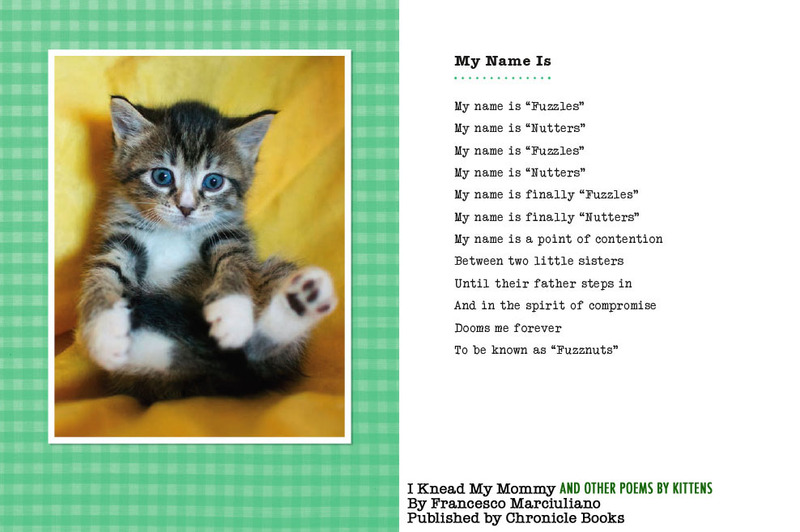 I Knead My Mommy And Other Poems by Kittens is dedicated to all the stray kittens and cats who need your love and protection (click on thumbnail for larger image). So when considering adopting a cat or dog, please visit your local animal shelter, where each and every day far too many adorable and affectionate pets eagerly await a new family, a new home, and a brand new happy life in your arms. 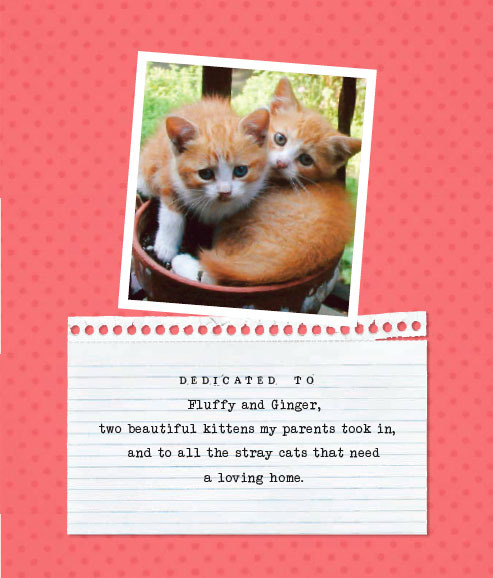 And even the kittens would quickly agree that adopting an older cat or dog always bring great joy and warmth to everyone in your home, humans and four-legged alike.